For weeks now I’ve been meaning to write to draw attention to the catalogue of the correspondence of Joseph Mede (or Mead, as he signs himself frequently in letters to his friend Sir Martin Stuteville) which has been increasing steadily in EMLO over recent months. What began as twenty-five letter records within the Samuel Hartlib catalogue published during the initial phase of the Cultures of Knowledge project (worked on sequentially by Leigh Penman and Robin Buning) has been augmented with the addition of metadata for Mede’s letters selected and published by John Worthington.1 With assistance from EMLO Digital Fellow Laura Lawrence, Mede’s catalogue has been extended still further to encompass the collection of letters contained in the British Library (MS Harleian 389 and MS Harleian 390) that were written on a weekly basis to Stuteville.2 At present, the inventory in EMLO for Mede’s correspondence includes records for 436 letters. Mede is a rare gem. A modest man, portrayed by his pupil (and ultimately his editor) Worthington as ‘studiously regardless of Academical Degrees, as being unwilling to make any great noise and report in the world’,3 he described himself in a typically self-effacing manner as in possession of ‘brains … so narrow, that I can tend and mind but one thing at once’.4 His letters are a revelation (I’m sorry, I couldn’t resist this pun) and not only on the prophetic and apocalyptic fronts: should you be interested in the political situation that makes up the backdrop to Mede’s life in the 1620s, you will enjoy his letters to Stuteville, packed as they are with news, gossip, and detailed reports of current local, national, and international events. Here at EMLO we’ve been transfixed and glued to our monitors as we’ve worked with this inventory. If proof were needed (which, of course, as you’re reading this blog you’ll know it is not) that it is worth poring over letters to tease out tiny and what might appear at first glance to be inconsequential details, it was a delight to note the comments that accompanied the dates Mede marked on his missives to Stuteville. What seems to be no more than an insignificant factoid often turns out to be a nugget that enables a small piece of a larger picture to be set in place. 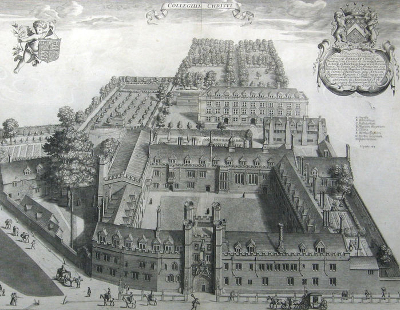 Whilst we knew Mede was born in October 1586, thanks to his letter of 13 October 1627, we have been able to squirrel away one minor but important fact about him, for he marked this letter ‘Christs Colledg. October 13. My birth day’.5 Of course this small scrap has gone straight into Mede’s person record in EMLO. It turns out that the precise day of his birth is not recorded in the ODNB,6 nor is it in Venn,7 but now — to the delight of those who make up the fan club of Mr Mede — it exists in our union catalogue. And there are further tidbits to be uncovered in these letters to Stuteville. By way of example, we find another letter dated ’17 November. 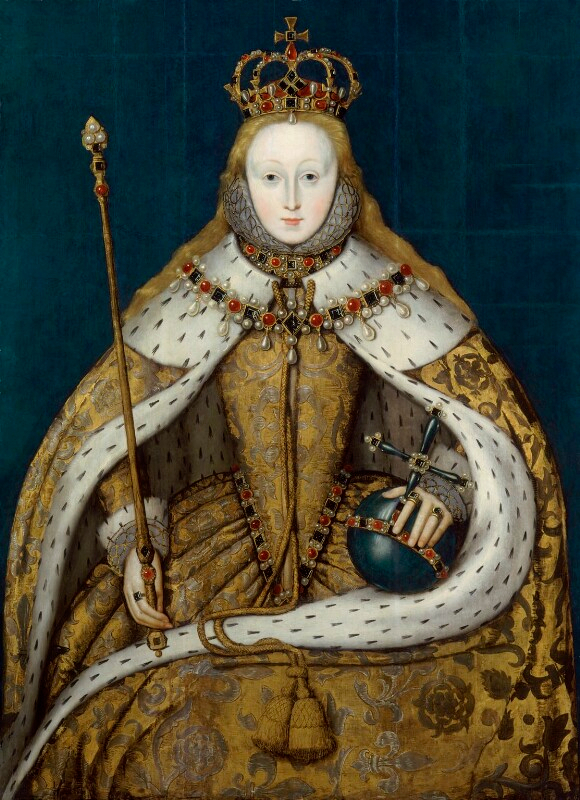 When our belles in every Church are ringing here in memory of happie Queene Elizabeth.’8 This is 1627, and the man born two years before the Armada is noting how bells peal in Cambridge to mark Elizabeth’s accession nearly a quarter of a century after her death. And as a final note, for the many who are interested in the connections between Isaac Newton and Joseph Mede12 (and who possess the patience to have arrived at the end of this post), the recent exciting discovery in the Huntington Library by Stephen D. Snobelen of Newton’s own dog-eared copy of Worthington’s 1672 edition of Mede makes fascinating reading.13 I’ll leave you to click through to the Huntington, while I go back to work. This entry was posted in Uncategorized on April 30, 2018 by Miranda Lewis. When EMLO launched its ‘new look’ back in January 2015, a re-design that included for the first time catalogue introductory pages, little did anyone foresee that just over three years later the total number of early modern correspondence catalogues within the union catalogue would have burgeoned from an initial sixteen to hit the hundred mark. 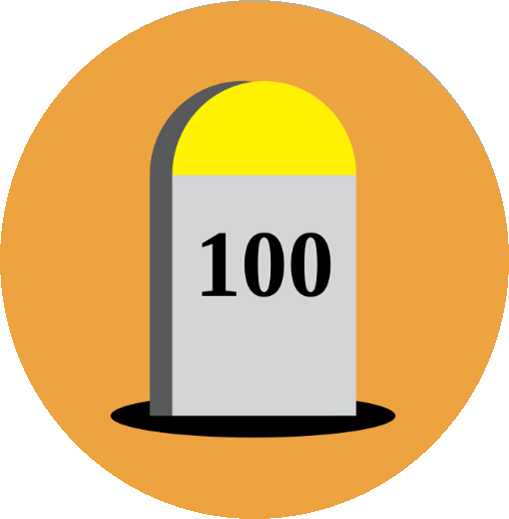 And we could not be more delighted to be announcing this week that the hundredth catalogue to be published in EMLO is none other than that of the philosopher and theologian Jean Le Clerc. Le Clerc (1657–1736) stands today a towering figure at the heart of the golden age of the république des lettres. As a scholar, he published widely, in particular a number of key critical works, yet perhaps of more significance still he was renowned far and wide during his lifetime for his rigorous and insightful activity as a journalist. 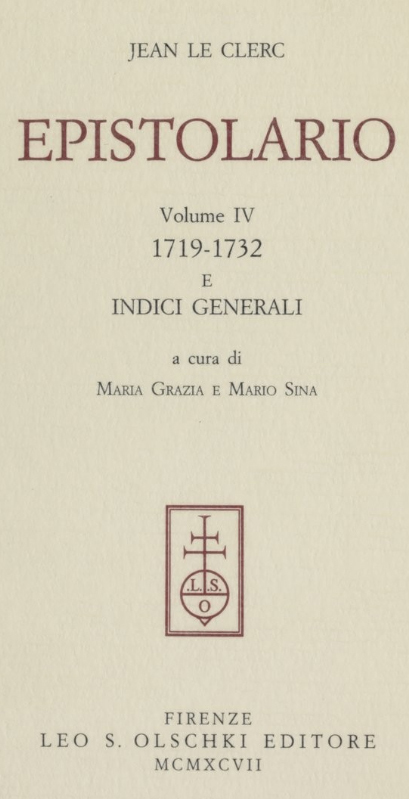 Le Clerc’s correspondence has been collected, studied, edited, and published by the scholars Mario Sina and Maria Grazia Zaccone-Sina, and their four exemplary volumes were brought out to great acclaim between 1987 and 1997 by the distinguished Italian publishing house Casa Editrice Leo S. Olschki. The metadata for the 842 letters contained in EMLO’s listing of Le Clerc’s correspondence are taken from this edition, and the EMLO team could not be more pleased to have been working in partnership at various stage of the necessary preparatory work with colleagues at Olschki as well as with the scholarly editors Mario Sina and Maria Grazia Zaccone Sina, who have been so generous to this enterprise in terms of both their blessing and their support. As a result, users of the union catalogue are able now to benefit from their scholarship through the links that have been inserted from each letter record in EMLO out to the text in the relevant volume of the edition available on Gallica, the digital platform of the Bibliothèque nationale de France. As EMLO ticks towards its second century of metadata catalogues, we expect to observe a thickening and a tightening of thematic correspondence clusters as the warp and weft of the early modern networks draw ever tighter. Over the course of this year, Le Clerc will be joined by many more Huguenots, by many more philosophers, and by many more theologians, and the groupings of corresponding individuals, including astronomers, cartographers, collectors, diplomats, intelligencers, mathematicians, natural philosophers, physicians, and scholars — men and women alike — will swell. The catalogue of Jean Le Clerc marks a significant milestone in the history of EMLO. And as users explore its riches, we are at work behind the scenes on the second hundred. This entry was posted in Uncategorized on April 27, 2018 by Miranda Lewis.